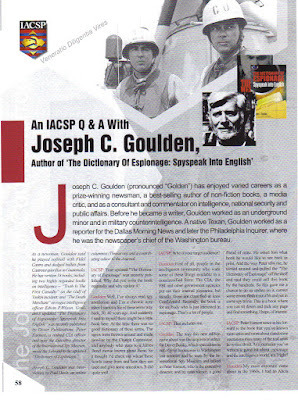 Veteran journalist and author Joseph C. Goulden offers a good review in the Washington Times of Steven T. Usdin’s Bureau of Spies: The Secret Connections Between Espionage and Journalism in Washington. Having spent a lifetime in and around journalism, I can attest to the profession’s overlap with espionage. Practitioners in both fields are devoted to acquiring information, by one means or another. The major difference is that we ink-stained wretches share what we find with the public, while spies work for other masters, often adversaries of the United States. 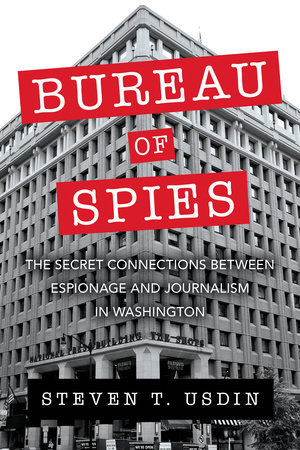 As he documents, for years the building abounded with intelligence agents, both open and disguised. The reasons are obvious. Undeclared spies can cadge information from reporters who are unaware of the affiliation of persons with whom they chat, be it in the elevator or at the press club bar. Even more important, from the espionage point of view, is the opportunity to use a trusting press as a means of “planting rumors and lies,” as Mr. Usdin writes. The 14-story National Press Building was hailed as the most modern private office building in Washington when it opened in 1927, under auspices of the National Press Club. Located on 14th Street NW, a few strides off Pennsylvania Avenue, it is an easy walk to the White House. Over the decades spies and snoops of many loyalties flocked to the building. Mr. Usdin ticks them off: Soviets. Nazis (both foreign and domestic). British. Japanese. Even the White House and CIA.